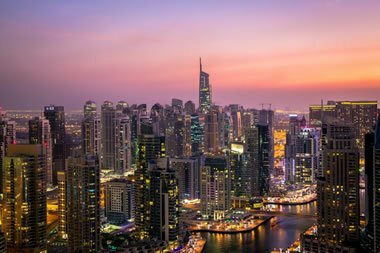 A recent spate of cases concerning patients throughout the EU presenting with Legionnaires’ disease has led to a link between these cases and recent travel to Dubai, UAE. While the number of cases presenting is still very small, the European Centre for Disease Prevention and Control (ECDC) has highlighted the link in a recent epidemiological update issued on their website. This confirms an increase in Legionnaires’ disease associated with travellers returning to Europe from Dubai. The increase has been noted since 1st October 2016. 30 cases were confirmed to have been reported by the UK, while Sweden was found to have eight residents diagnosed with Legionnaires’ disease following travel to Dubai in the United Arab Emirates. Germany and the Netherlands each reported six cases, while Denmark and France had four cases each. To date, several other countries have reported single cases. These were Belgium, Austria, Hungary, Ireland, the Czech Republic, Switzerland, and Spain. In every case, confirmation of the illness was gleaned via laboratory testing. The report from the ECDC was made on 22nd June 2017, and as of two days previous to that, 65 cases were reported where the patient had recently visited Dubai. This is confirmed to have occurred within two to 10 days before the illness presented, between 1st October 2016 and 20th June 2017. 59 of those who had later been diagnosed with Legionnaires’ disease had stayed in commercial accommodation. Of that number, 19 were confirmed to have stayed in a hotel that had already been associated with another individual falling ill with the same illness. However, no source for the illness has yet been found. Testing has taken place in the hotels the patients had stayed in and legionella bacteria levels were confirmed to be within safe limits. The limits in force in Dubai are identical to those commonly imposed in Europe. With no further news given at present, it is uncertain how and where those who fell ill contracted the illness, although the link with Dubai does seem to be clear. It is also curious that the number of affected people is far higher in the UK than from other countries. We shall keep you informed of any future developments or discoveries on this topic as they occur. Our experts serve clients across all regions of the United Kingdom, Europe and internationally including Dubai and the wider UAE, delivering professional legionella risk assessments, water testing, independent compliance auditing, City & Guilds training and other environmental risk management services.